Our Penguin mug is super cute. He is really fashionable with the scandi and nordic patterns around the back of him. He will appear to be black and white. 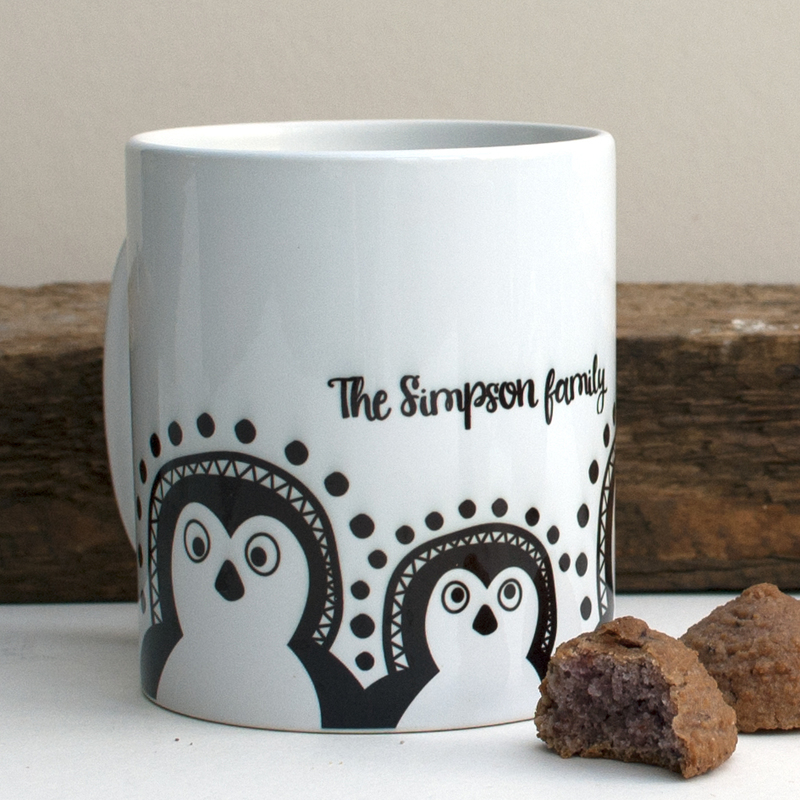 This lovely mug is hand designed and you can personalise it too! Be as inventive as you like in this part to make it as personable as possible. For instance "Mary needs her tea!" You can have as many as 5 animals on your mug in the sizes Small, Medium or Large. *** When entering your sizes please be aware that they will be arranged in the order you state.